This book was written for children, and it’s the perfect place to begin. What better way to practice putting aside your ego + self-labels than picking up a book on mindfulness for kids? 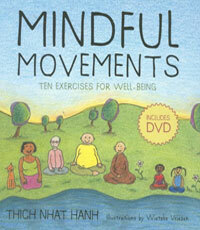 Thich Nhat Hahn is masterful and this gorgeous book is for everyone. 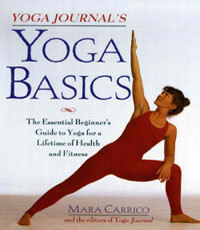 Detailed info on 77 asanas, including a stellar photographic pose index — so helpful for beginners. The collection strikes a good balance between female + male demonstrators, showing the starting, intermediate, and final positions with step-by-step instructions. Also: mental + physical benefits, contraindications, counterposes, gazing points, and variations. A favorite for its clean simplicity. “We begin where we are and how we are, and whatever happens, happens.” This book has so many brilliant layers. Unfold them. The learning is endless. You will refer to it again and again and again, each time with deeper understanding. “…you must try to imagine that this small kindness you are doing will help turn every single living creature on countless worlds into this same perfect living crystal of kindness. And the in the instant that the imprint of your small act is planted in your consciousness, it is filled with good wishes for an infinite number of living creatures.” This book is a beautiful introduction to the lessons of the Yoga Sutras, in story form. Follow the journey of a female protagonist and the interesting characters she meets along her path. 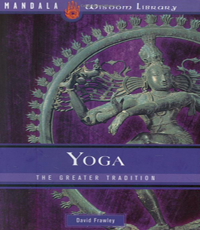 “This slim volume intends to shed light on the greater tradition and teachings of yoga, which provide an integral approach that can harmonize our individual and collective existence. My aim is to provide yoga students with a new vision of the universe of yoga in all its vastness.” Frawley works are genius. He has the gift of distilling an incredible amount of information into enjoyable reading. Dive in. 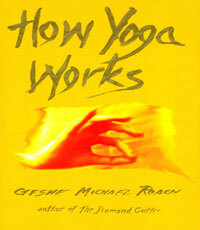 If you are extremely visually-oriented, this is a perfecto addition to your burgeoning yoga library. EVERYTHING is illustrated, in color no less, including gorgeous shots with multiple angles of the body and a focus on specific body parts, mudras, common problems, variations, prep exercises, and much more. A gem. 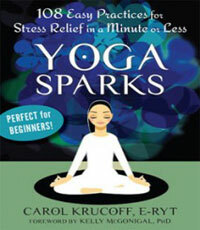 A wealth of easy-to-read comprehensive info condensed into an elegant beginners’ introduction to yoga. On the old-school side (1997), with black + white photos and serious leotard-and-earrings action, but this simply adds flavor. The bones are good — especially the sections on yoga styles, breath awareness, and illustrated poses. Tapping into quick, simple grounding exercises is comforting. It’s like having a pocket full of peaceful go-to’s. This is especially helpful for beginners, as sitting down to 5 minutes of meditation or moving through Sun Salutations can sometimes feel overwhelming. The writing style is warm + conversational and the exercises are fun, they’ll help you build a foundation of practice, and they work. Elegant, artistic, and poetic. This book goes deeper in certain areas (koshas, breathwork, lengthy asana sequences) than most manuals targeted to beginners. If you gravitate toward spirit and have an artist’s heart, this book will be balm to your mind. 23 basic poses. 360 degree views. 250+ photos. 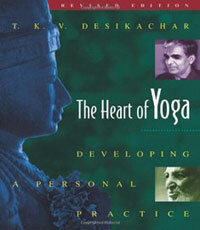 Written by the founder of Iyengar yoga, himself — who has been teaching from the age of 17. 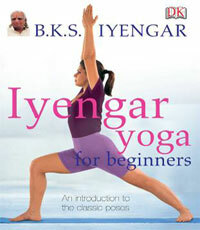 Iyengar yoga is sharply focused on alignment. 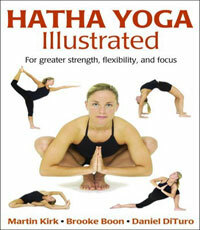 This is an excellent easy-to-digest intro, but make sure to balance the strict demonstrations of the postures with Hatha Yoga Illustrated, which includes intelligent modifications + a perspective of finding ease in your body within each pose.